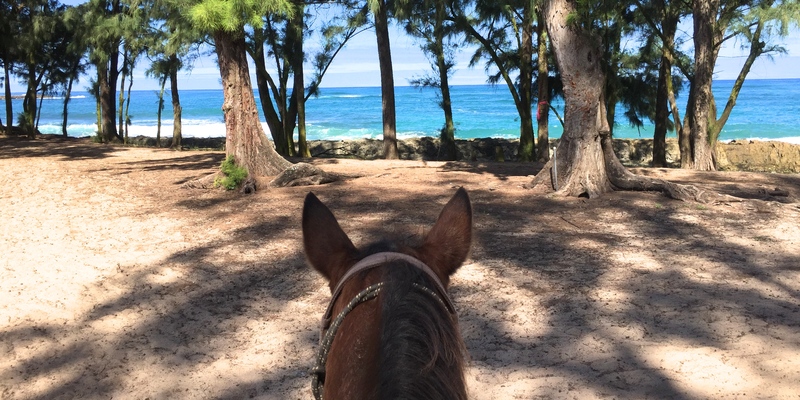 Is there a cooler way to take in the sprawling ocean view than by horseback? The sweet animals you’ll get to meet at Turtle Bay’s stables are extra-friendly and calm — it must be the Hawaiian air. Cruise miles of beachfront trails that twist and turn into forest areas that you might even recognize from productions like The Hunger Games, Lost and Pirates of the Caribbean. 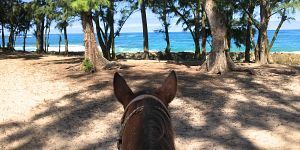 Learn more about Turtle Bay’s horseback riding packages here. You probably won’t realize just how cool the soap-making process is until you see it with your own eyes. Be mesmerized by the beautiful process that’s oddly, a lot like baking. North Shore Soap Factory is set inside the iconic Waialua Sugar Mill (a destination in itself). Owners Debora and Jerry are passionate about their natural soaps, which are made the labor-intensive old-fashioned way. 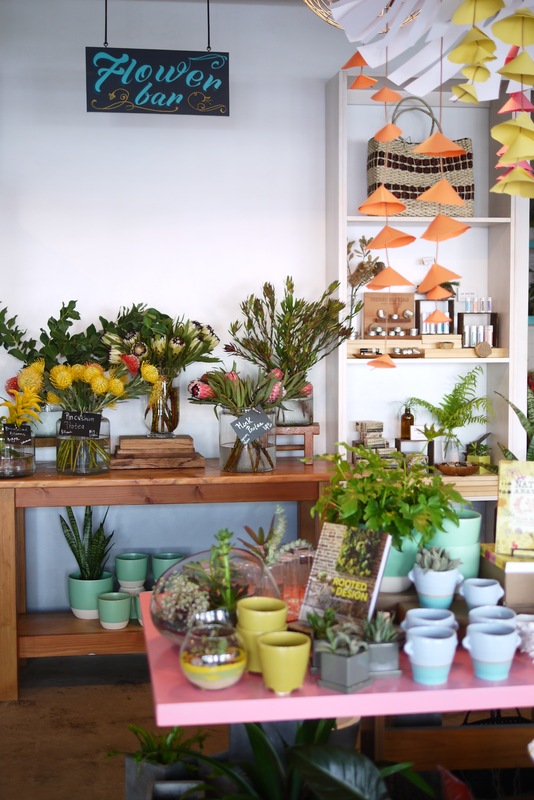 They use locally-sourced oils like Hawaiian kukui nut Oil & macadamia nut oil to add moisture. 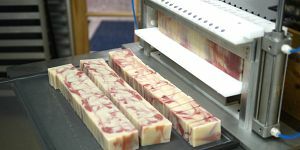 Take a tour of the factory and stamp a design into your own soap. More on North Shore Soap Factory here. 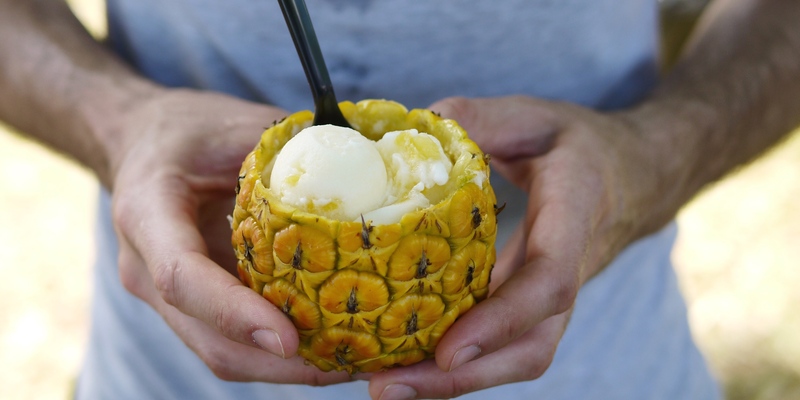 Immerse yourself in Hawaiian culture by visiting the largest farmers market around. Your senses will be overwhelmed! The new sights, smells and sounds (live music) are intoxicating. 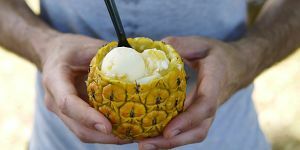 Sorbet-stuffed tropical fruit and produce shopping is a must (plan for a beach or hike picnic?). The eggplant-sized avocados are particularly impressive (just make sure you buy a ripe one so you can eat it before you fly home and aren’t forced to ditch it at customs!). The market is open from 7:30am-11:00am and you can follow them here on Twitter for market updates, specials & pics. Turtle Bay is named appropriately – these green reptiles are abundant. One of the best ways to observe them up close in their natural habit is by stand up paddle boarding, also a great little work-out and an excuse to take a dip in the warm North Shore waters. 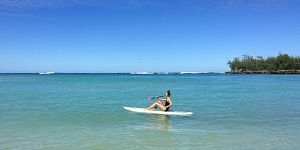 Turtle Bay’s instructors are highly experienced (ours was a formers professional snowboarder) and helpful. Learn more here. 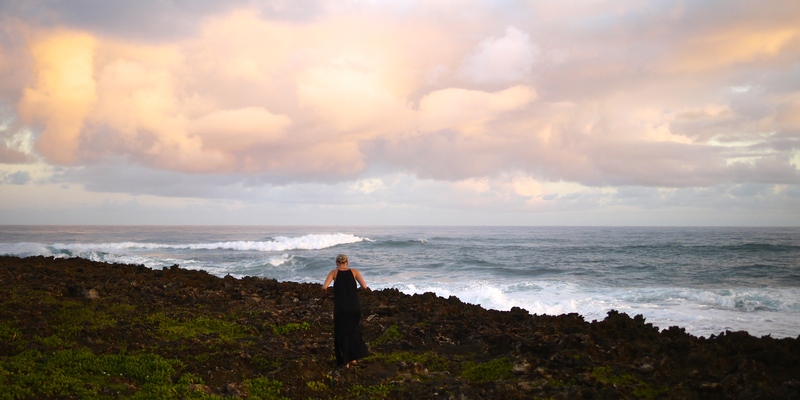 Turtle Bay Resort is an ideal location for sunrise-worshippers, providing the perfect vantage point from which to watch the sky illuminate in a rainbow of colours as the day begins. Join the handful of hotel guest early birds who gather on the point to gaze at the sky. Before you head out, grab a latte (soy milk option available) from the lobby’s coffee bar. See it here. Hawaiian waterfalls are something else, as are the vibrant green, tropical forests — so completely different than what we have here in the Pacific Northwest. Have your own TLC moment in the Manoa Falls, just a 30 minute hike up from the parking lot. The trail is pretty flat, so don’t anticipate a big sweat. Get there early to avoid tourists getting in the way of your perfect waterfall photo opp. And on the drive in, stop at Morning Glass Coffee for a creamy almond mylk latte and scone. 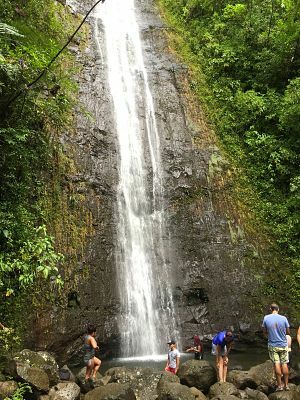 More info on the Manoa Falls hike here. 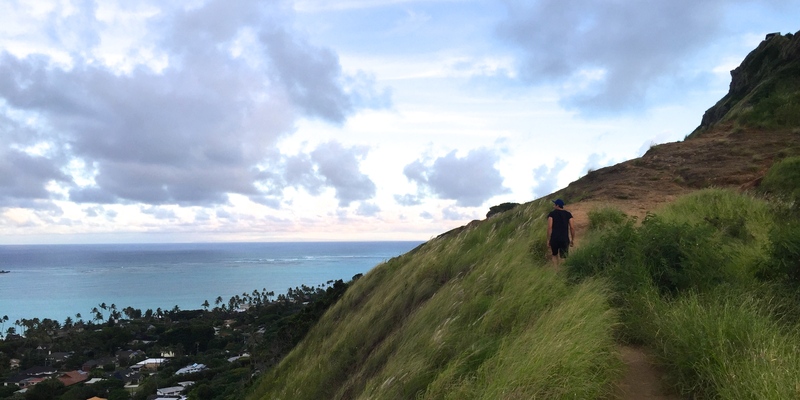 Feel like you are absolutely on top of the world when you reach the peak of the Lanikai Pillboxes trail. The 360 degree view is worth the hike, and despite a steep start, it’s not all that challenging. In fact, you’ll probably notice locals running the trail which extends along the mountain ridge, far beyond the hikers’ look-out points. Take a seat on one of the graffiti-covered concrete ledges to take in Oahu’s beauty and watch the sunset. Bring a headlamp or your smartphone flashlight for the hike down – you probably won’t be alone. This is a fairly well-traveled trail by locals and visitors alike. Honolulu’s Chinatown reminds me a little bit of Vancouver’s — it’s gritty, but riddled with hidden gems throughout. 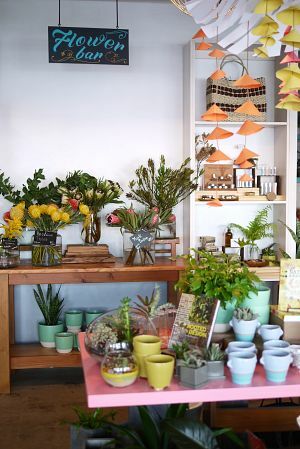 Many young entrepreneurs have moved into the neighbourhood, adding colour, flavour and style. 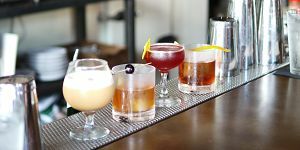 Since cocktails and shopping go hand in hand, start with a drink at Livestock Tavern and then make your way to either Grondin, Manifest or Pig and the Lady. For boutiques, get to Fighting Eel, Owens & Co, and Roberta Oaks.